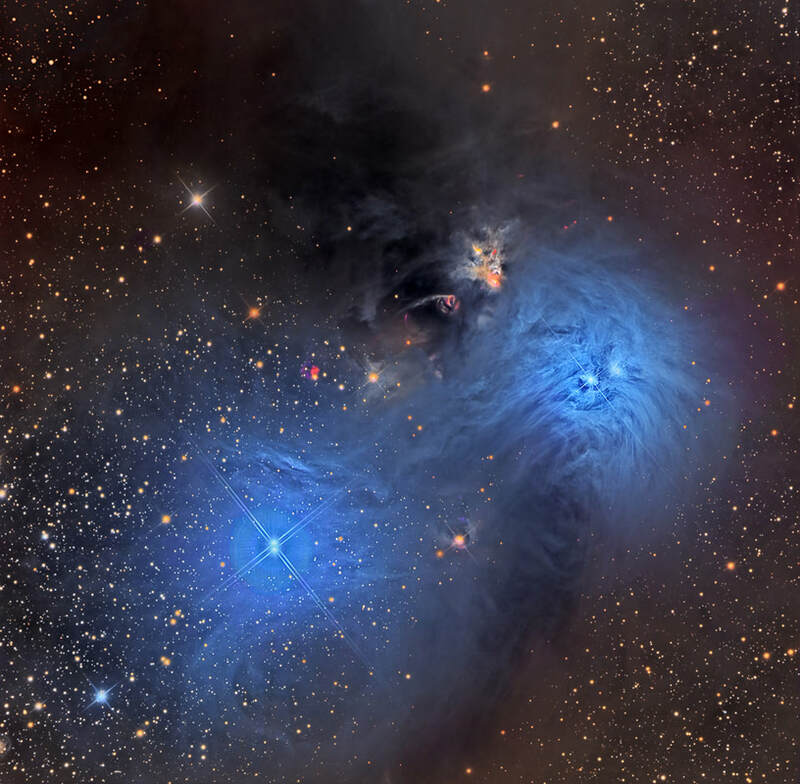 comprise the blue, reflection nebula at upper-right. The double star BSO 14 (WD 1450 and 432) at lower-left, illuminates the reflection nebula, IC 4812. The intriguing, yellowish object above and to the left of 6726-7 is variable nebula NGC 6729, fueled by the irregular variable star, R CrA. Two tiny, but beautiful, red Herbig-Haro (HH) objects can be seen to its left, namely HH 98 and 101. Herbig–Haro objects are named for astronomers George Herbig and Guillermo Haro, and are jets of gas ejected by young stars at speeds of 100 to 1,000 kilometers per second. Colliding with surrounding nebula, they produce shock fronts that glow as the gas is heated by friction, and excited by nearby hot stars. HH objects are short-lived, lasting only a few thousand years. A wider field of the Anteater and its constellation, Corona Australis, can be seen here. This data was acquired in 2017 by SSRO.